AccuWeather for iOS has finally gone universal, thanks to its 8.0 update. 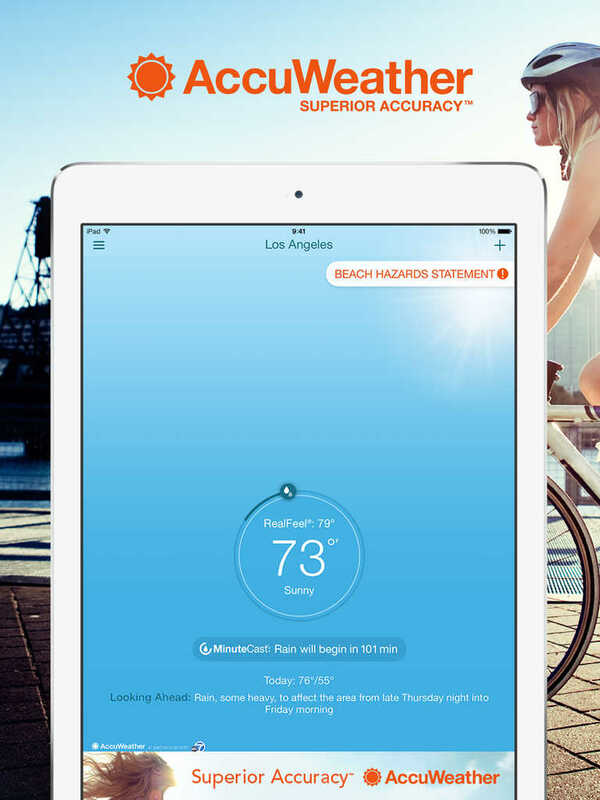 Launched six years ago for iPhone and iPod touch, the popular “superior accuracy” weather app has been updated with universal support. Consequently, it’s now natively compatible with iPad as well as iPhone and iPod touch. What’s more, it has also been optimized for iPhone 6 and iPhone 6 Plus. AccuWeather 8.0 also includes enhancements to MinuteCast that improve usability, including a new shortcut for quickly referencing the radar map. MinuteCast is AccuWeather’s key feature that provides minute-by-minute, hyper-localized precipitation forecasts for the next two hours. The latest update to AccuWeather also brings improvements to the app’s Today widgets, including syncing of in-app Celsius/Fahrenheit settings. The app’s Today widgets, where were introduced in October, offer summaries of what to expect from the day’s weather, including MinuteCast forecasts. 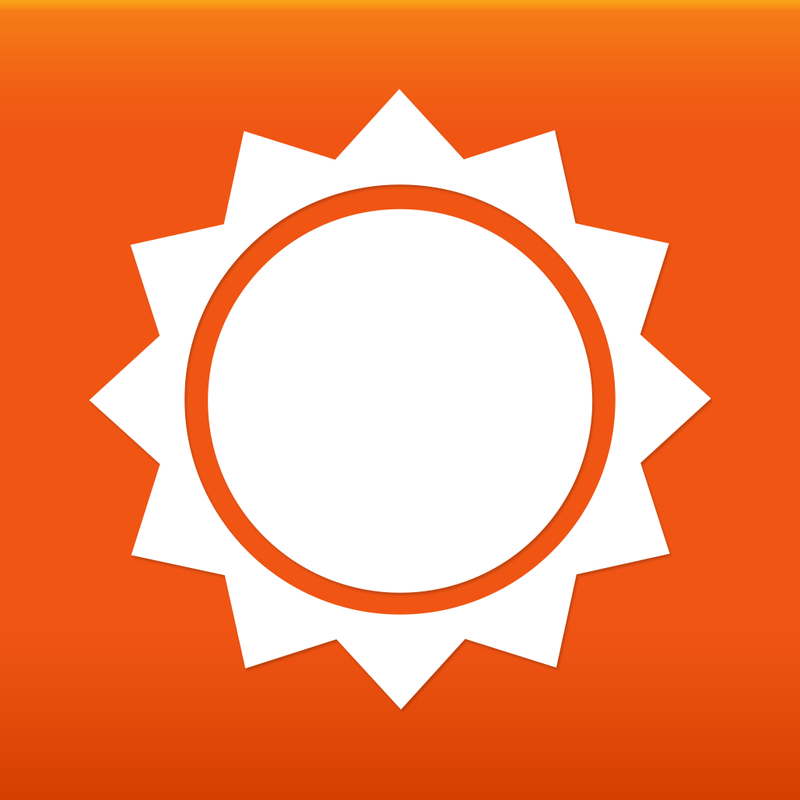 Optimized for iPhone and iPod touch running iOS 7.0 or later, AccuWeather 8.0 is available now on the App Store for free, with a $3.99 in-app purchase for removing ads. 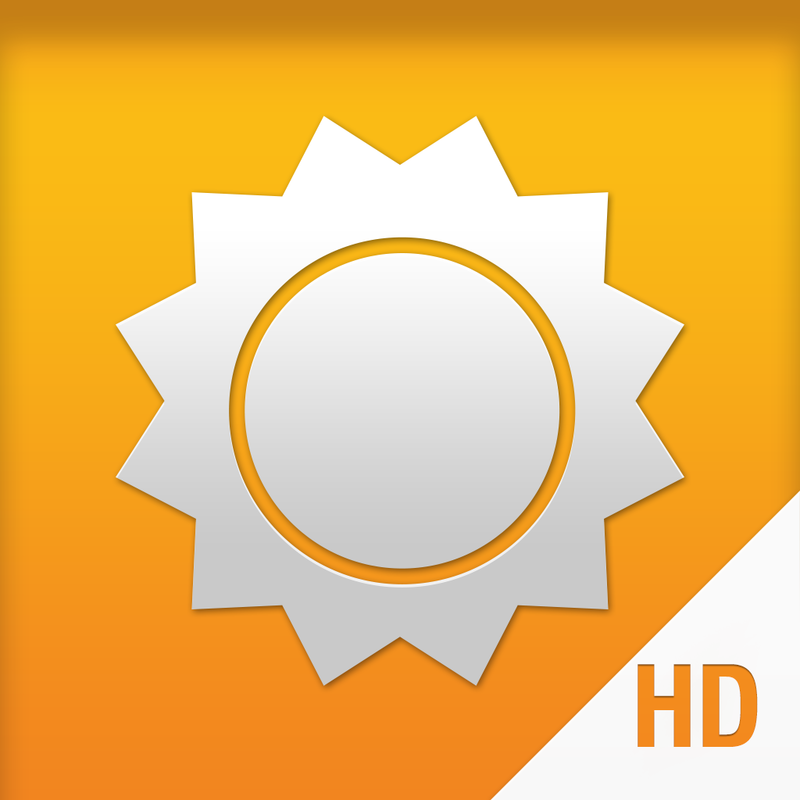 The ad-free, $3.99 AccuWeather Platinum app has also been updated with universal support and the other aforementioned enhancements. 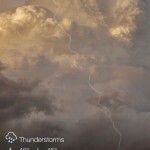 Accuweather for iPad is also available for free. But given the new iPad-optimized builds, it’s no longer recommended for download. 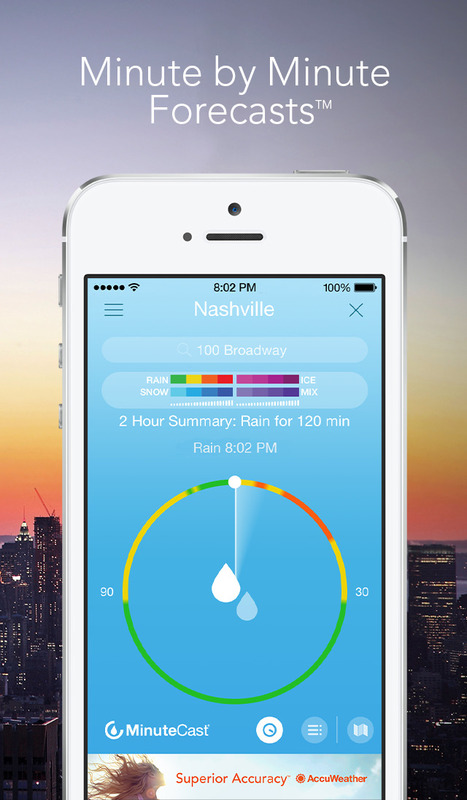 See also: AppAdvice’s Best iPhone Weather Apps and Best iPad Weather Apps AppGuides.